You'll absolutely love this gated community! 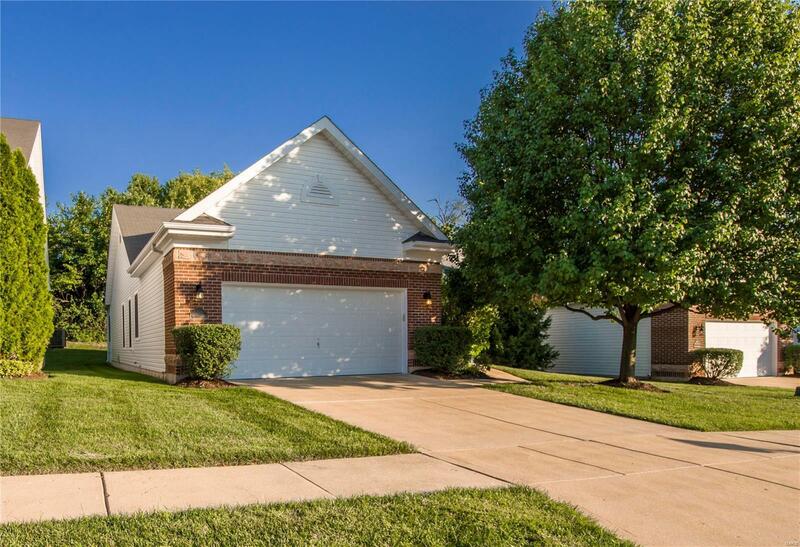 This 2 + bedroom/3.5 bath ranch-style unit with sunroom addition and finished lower level! Entry foyer opens to vaulted great room with new carpeting and gas fireplace. The heart of the home is in the spacious kitchen premium cabinetry, attractive appliances with ceramic tile flooring. Breakfast room adjoins the sunroom addition! Beautiful backyard backing to the woods with brick patio for entertaining! Master bedroom has bay window and luxury bath with separate jet tub and shower, double sink and title flooding. Lower level has a large finished family room! There is also two separate rooms that could accommodate guest or office space! Two car garage, main level laundry, and sprinkler system are great bonus features! Scheduling a showing today!